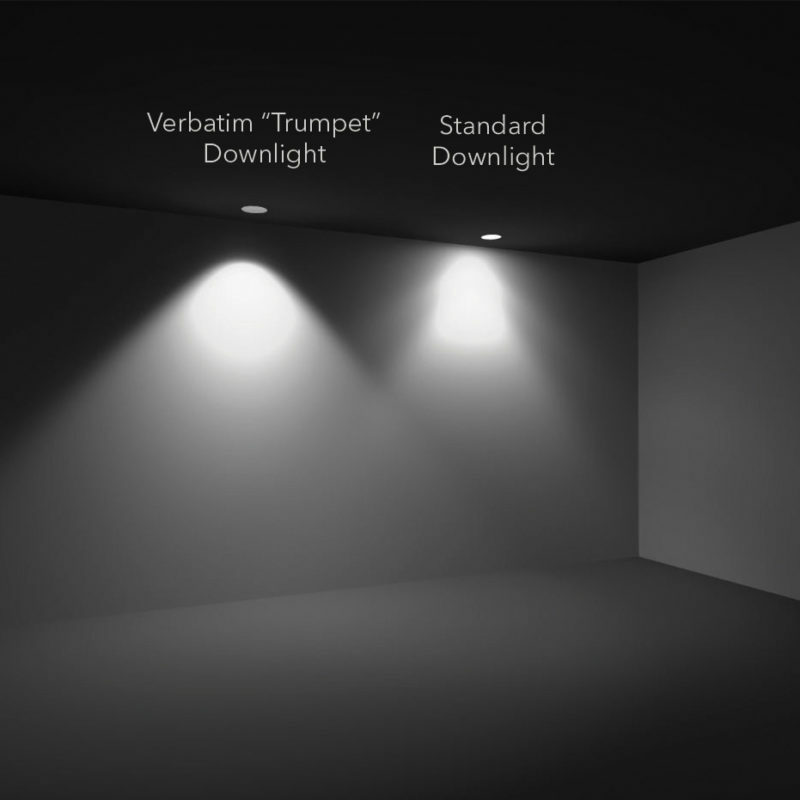 The Verbatim LED Trumpet Downlight 20W 3000K delivers great energy savings, high efficacy and low glare. 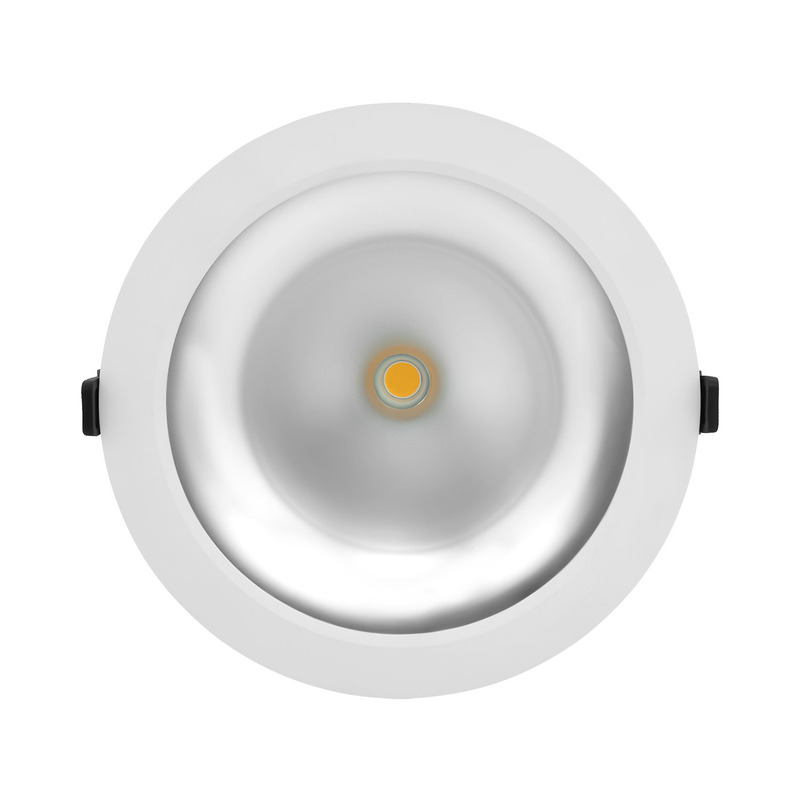 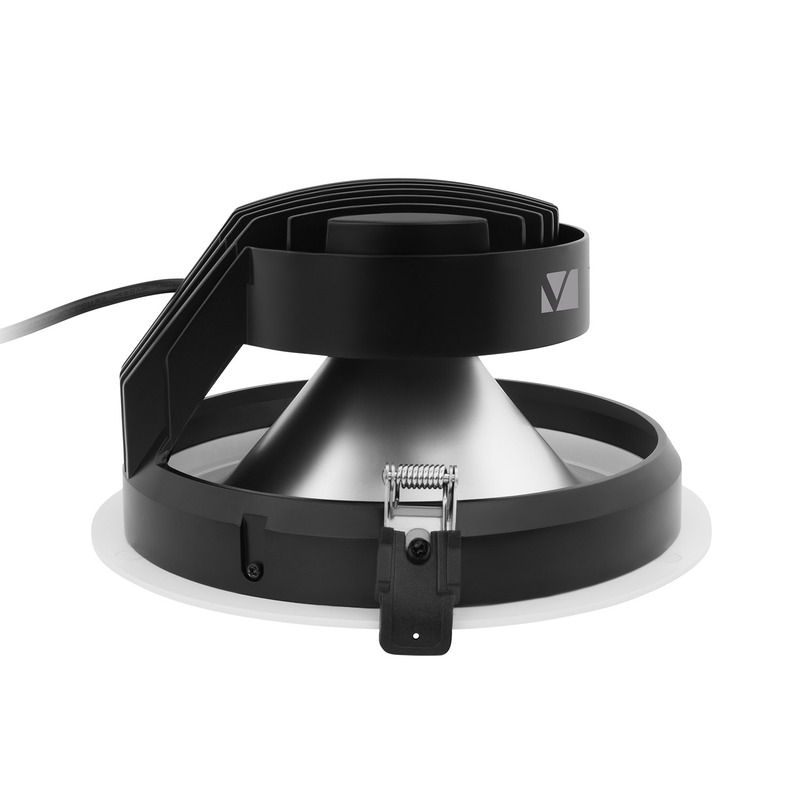 The Verbatim LED Trumpet Downlight range delivers a beautiful light distribution with high efficacy, high lumen output and anti-glare for applications such as offices, conference rooms, retail spaces, foyers, corridors, hotels or restaurants. 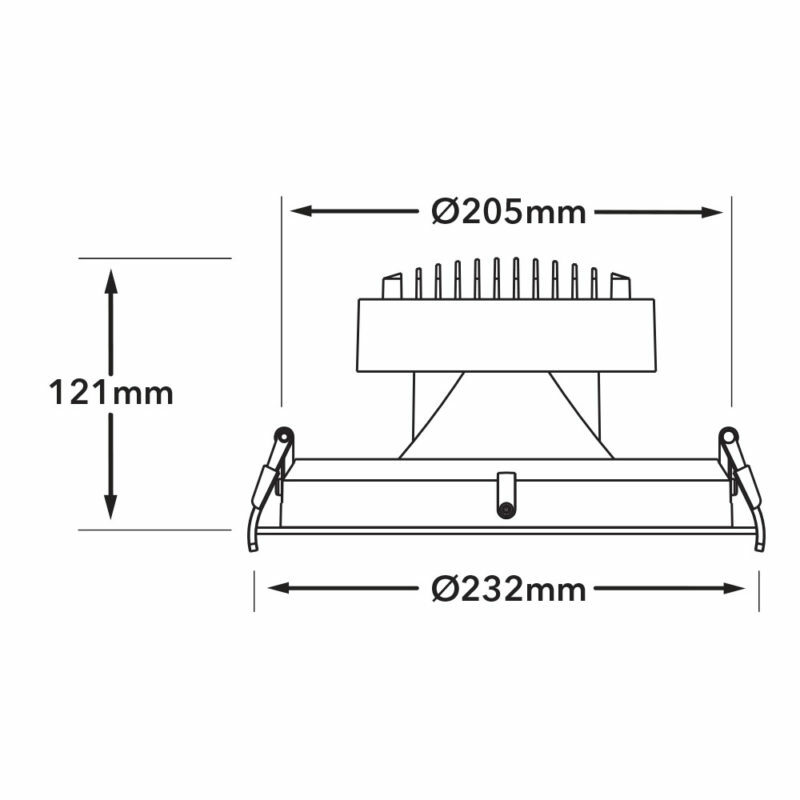 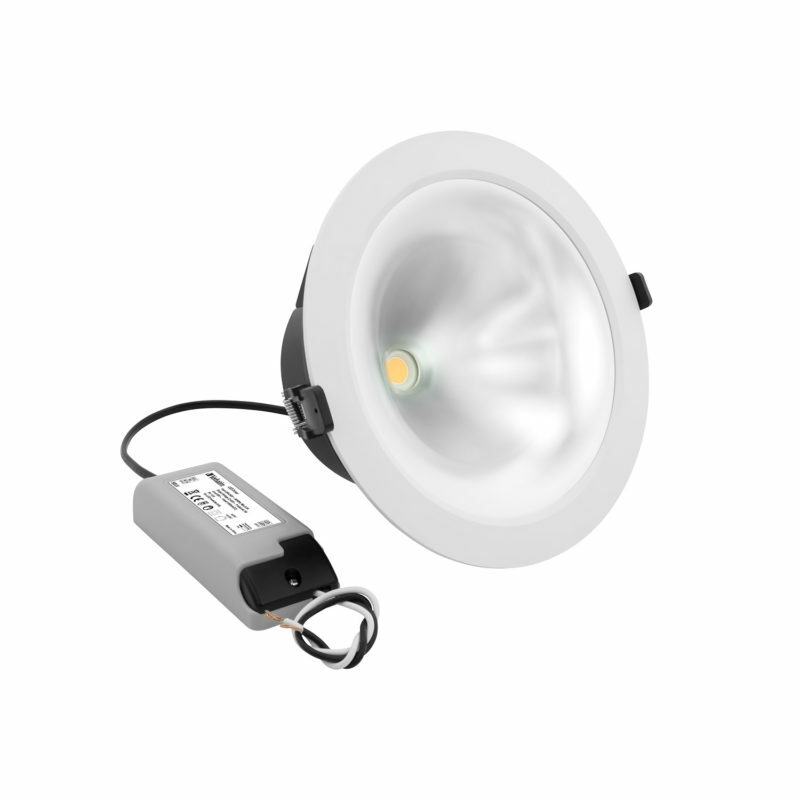 The elegant downlight range includes an innovative and unique ‘’trumpet’’ reflector shape specifically designed to produce low glare (UGR<19).